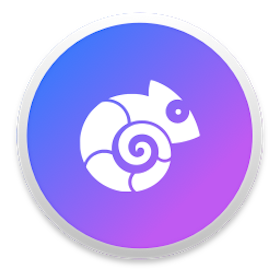 Chameleon 2019 Mac is a small app that brings these settings to your menu bar, making it much easier to customize your UI at any time. With this app, you can change the interface highlight and accent colors and switch between the Dark and Light UI modes with just one or two clicks. 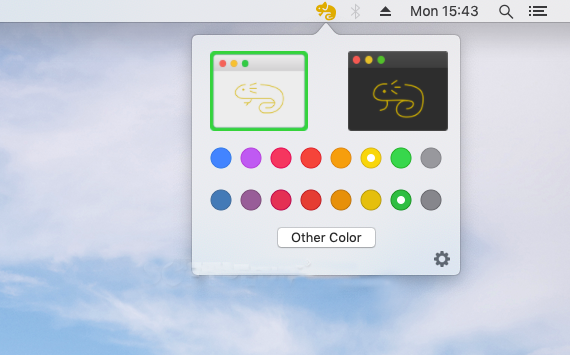 Menu bar app that lets you to change your Mac’s interface accent and highlight colors, as well as switch between Dark and Light mode, with just a couple of clicks. Right click to toggle between Light & Dark modes. The radio buttons make changing colors quick and fun. The minimal UI makes it easy to change the interface, accent and highlight colors right from the menu bar. Chameleon doesn’t take much space or power to run yet provides a ton of fun to use.